This classic Transformers character converts easily for the youngest kids. 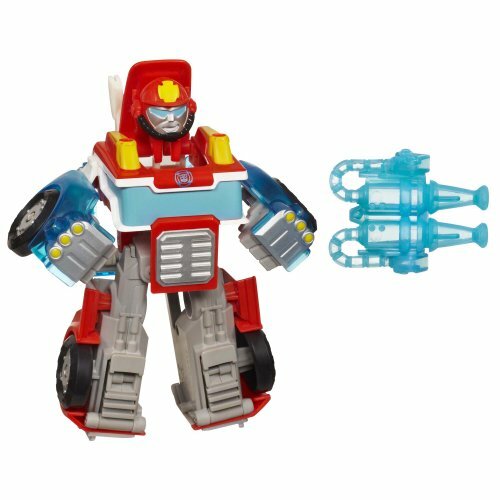 It just takes one easy step for your little one to convert this heroic Heatwave the Fire-Bot figure from robot to fire truck mode and back! He comes with a "water" cannon that attaches to the fire truck's cab in vehicle mode. No matter what dangers await, this Heatwave the Fire-Bot figure is ready to be a hero with your little hero! Playskool and all related characters are trademarks of Hasbro.